Mancinska, L, Scarpa, G, & Severini, S. (2012). 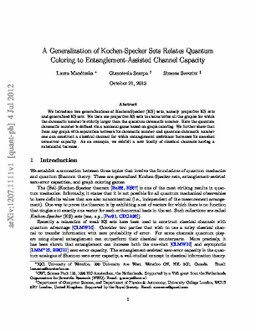 A generalization of Kochen-Specker sets relates quantum coloring to entanglement-assisted channel capacity. In Proceedings of AQIS Conference 2012.